Yesterday, Casey Schmitt began our “Archives around the Atlantic” roundtable with an extremely helpful guide to the Archivo General de Indias in Sevilla. If you have not yet read her piece, you will want to do so here. My hope is that my post can be useful to two (potentially overlapping) audiences: one that is interested in general tips for doing research in French archives online, and one that will be lucky enough to be physically present in French archives in the near future. Make Gallica your best friend, and bookmark it immediately. Gallica houses the digitized collections of the Bibliothèque Nationale de France. The collections are searchable by type of archival material, theme, geographic area, title, author, or date of production. Gallica can be overwhelming, but is quite user-friendly. It’s a great place to start a research project, or send a motivated undergraduate student looking for primary sources on the early modern French Atlantic. 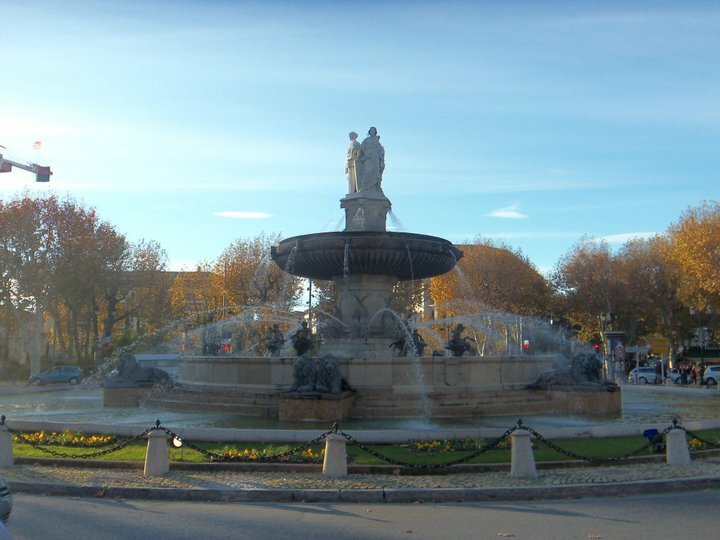 Wait…do you actually get to GO to Aix-en-Provence and research at ANOM? That calls for a whole different set of tips! Consult series inventories before AND during your trip. I assume that most of you already know to do this, but I was completely unaware of how many useful printed source inventories exist for ANOM. The best part? Most them are just a hop, skip, or a jump from your interlibrary loan inbox! The Guide des sources de la traite négrière, de l’esclavage et de leurs abolitions and the Guide des sources de l’histoire de l’Amérique Latine et des Antilles dans les archives françaises are two archival guides published by the French National Archives that proved invaluable to me and were available in my university’s library. They, along with the research-bibles-disguised-as-binders found outside of the reading room at ANOM will make you more confident and prevent you from wasting part of your daily documents quota on a carton of documents that isn’t that useful to you. Remember: there is no WiFi in the French National Archives’ reading rooms, so it is vital to do this legwork before your research trip if possible! Trust the archivists! This may seem like a no-brainer, but the archivists at ANOM are some of the kindest and most helpful I’ve ever met. As one of them told me on my first research trip, I shouldn’t worry about coming up to the desk to ask questions about the collections because many of them “are organized in a way that isn’t at all clear or logical.” If your spoken French or oral comprehension skills aren’t as strong as you’d like, they may even try to find a native English speaker to translate what the archivist is telling you. They’re excellent! Once you’ve accomplished the first two items, try exploring a “creatively” organized (and therefore underutilized) collection. The “eclectic” Moreau de Saint-Méry Collection (ANOM F3), compiled by a creole man from Martinique at the end of the Ancien Régime and during the Caribbean revolutions, contains a series of laws, edicts, memoranda, and other gems deemed worthy of saving because they displayed the inner workings of the early modern French empire. The “Dépôt des fortifications pour les colonies” or “DFC” is difficult to navigate, but once you master two sets of call numbers and how to order them properly on the archive’s computer, you will have diverse maps, rich memoranda, and fortifications plans dating back to the 1630s at your fingertips. Trust me, and the exceptional scholars who recommended these collections to me, when I tell you that the payoffs vastly outweigh the frustrations of wading through collections like these. Eat ALL the pâtisserie. Enough said. Clearly, this list is nowhere near exhaustive. It’s just meant to give preliminary French archival explorations a head start. What other tips and tricks have been useful to you while researching French Atlantic sources from afar or while in residence at the archives? Please share in the comments section below and keep the conversation going! Yes! Thanks for sharing another excellent French Atlantic resource! For early modern materials, the microfilm room at the CARAN (the original Paris site of the Archives Nationales in the Marais) is a lifesaver as it holds copies of all the major collections (A through F). You would not know unless you check for yourself because there is no master list and the staff in Aix has no clear idea of what is available there… but again it has almost everything from the Secretariat d’Etat a la Marine. Otherwise this is spot on. Read the inventaires, all of them, and get your hands on paper copies if you can. Also, please petition, demonstrate, and strike for the French archives to join the 21st century and offer Wifi access to their readers. Thank you for mentioning the phenomenal microfilm room at CARAN. I wholeheartedly second the recommendation. It’s vastly superior to the one in Aix to be sure, and it’s a great resource for people who can’t make it to ANOM itself. Meanwhile, we’ll all keep our fingers and toes crossed that archivists see the light and FINALLY allow Wifi on the premises! Thanks for your suggestions! I would also add another tip: consult the Catalogue Collectif de France (http://ccfr.bnf.fr/). Gallica has tons of stuff, but the Catalogue can also point you towards lesser-known libraries and archives (the Bibliothèque Mazarine, the Bibliothèque de l’Institut, various municipal libraries) which may hold interesting manuscripts for your research. As always, the CCFr is terribly clunky and not very user-friendly, but take some time to explore it. What a fantastic resource! Thanks so much for sharing! I’ve also had luck using provincial archives like the Archives départementales de la Charente-Maritime (ADCM) in La Rochelle. A lot of pertinent archival material there is actually available online, including records for the Louisbourg Admiralty. Their value is not limited to those of us working on the French Atlantic- the same archives house sources relevant to trade and colonial politics in New England, New York, etc.